Harry Potter fans know how much the series means to them, and clearly, there are a lot of Harry Potter fans around the world. 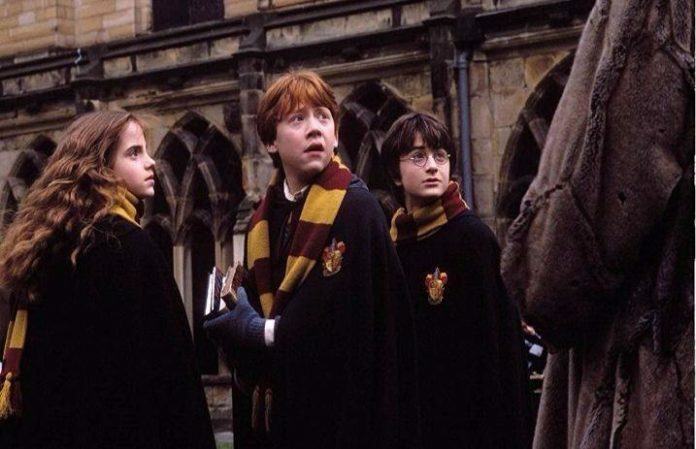 According to Pottermore, more than 500 million Harry Potter books have been sold worldwide. That means one in 15 people in the world owns at least one Harry Potter book. (If you're like us, you own all the books, of course…) Harry Potter And The Sorcerer's Stone is the best-selling book in the series, and Harry Potter And The Deathly Hallows happens to be the fastest-selling fiction book of all time. Plus, the book has been translated into more than 80 different languages, and in case you were curious, the seven Harry Potter books contain a total of more than a million words—1,100,086 to be precise. That's a lot of sales and a lot of words. Now it's time for us to celebrate this massive news with a Butterbeer Frappuccino from Starbucks' secret Harry Potter menu.